If you've ever lost someone you'll know that grief is not a joke, especially under tragic circumstances. So with that being said, spare a thought for this guy whose sister was found in a ditch allegedly at the hand of her boyfriend. 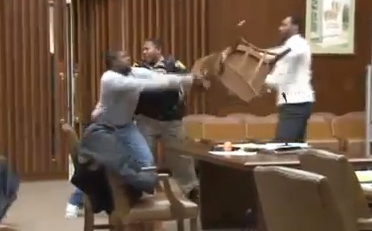 It all kicks off in the courtroom. Watch for yourself after the jump. Man, that's deep... Why that officer is crackin jokes with the judge in the background, I have no idea.